The most awkward legal battle broke out this week. This is something that you would almost expect to see in a movie theatre near you starting Christian Bale. 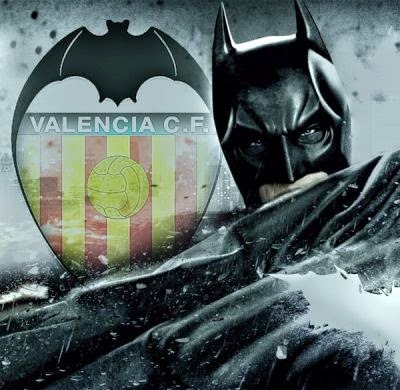 Valencia CF is being sued by DC Comics. Yes you have read it right; DC Comics is taking legal action against Valencia CF of the Spanish La Liga over their bat logo. If this isn’t one of the most absurd and at the same time incredible stories that you have read in the last couple of weeks I am not sure what is. Well, maybe the Cruzeiro Lingerie Line comes close to it, but to me this one takes the cake. 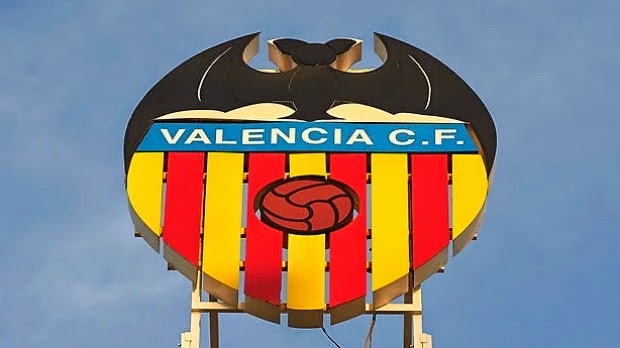 Valencia CF is looking at registering their bat logo that appears on top of their crest, and when the news hit the noses of the DC Comics lawyers, well they ran to the phones faster than a Usain Bolt at the Summer Olympics. DC Comics is threatening Valencia CF with legal action if they indeed go ahead with their attempt to trademark the bat logo. Their reason is that in the future, Valencia’s bat and DC Comics bat could be confused with each other since both bats look similar. Of course they look similar, they are both bats. I wonder if DC Comics is worried that Batman will confuse the two bat signals and instead of showing up Gotham City to help an unsuspected citizen, he will instead arrive at La Mestalla to help Andre Gomes with his defensive coverage of midfield. The complaint was file with OHIM, a European entity that controls and licenses the use of logos and branding. OHIM hasn't revealed a deadline for a conclusion of the process but at this time it doesn’t look like either part will reach a consensus. The issue is that Valencia CF uses the bat in their crest since the 1920’s, while the DC Comics Batman logo wasn't created until 1939, but DC Comics have trademarked their logo while Valencia CF until now had never done it. Somewhere, somehow, the Joker is having a laugh at the bats expense.